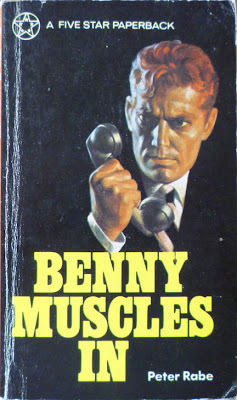 Benny Muscles In was Peter Rabe's second novel, originally published in the US by Fawcett/Gold Medal in 1955. It's the story of Benny Tapkow, a hoodlum running rackets in a New York territory, and how he claws his way to the top of the pile before being brought low by a woman and her habit. 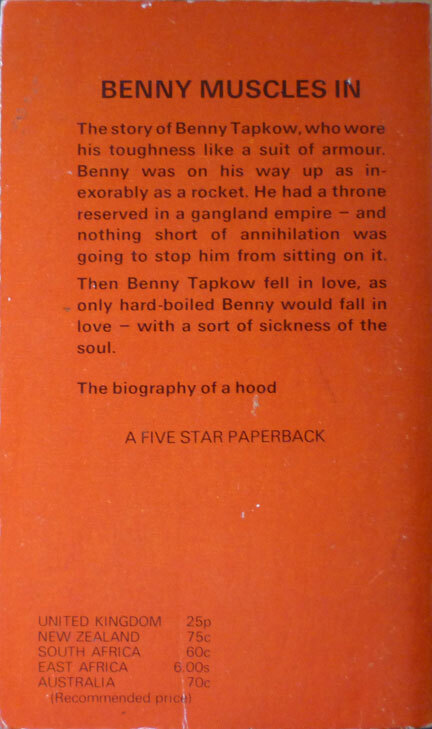 This edition, however, isn't the Gold Medal one; it's a later UK Five Star edition from 1973, with a different (uncredited) cover. 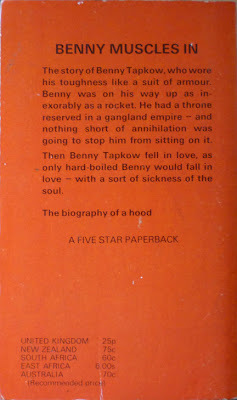 Five Star published a handful of Rabe novels around 1972/'73, including The Out is Death and Agreement to Kill. They also published gothic romances, thrillers and science fiction, most of them picked up from other publishers, with few notable names among their authors – there's a work-in-progress list here. It was a short-lived enterprise – possibly just those two years stated above – run by PBS Ltd. of Manchester, who in turn were a subsidiary of World Distributors. World Distributors was owned by three brothers, Sidney, John and Alfred Pemberton, and started life after World War II as a market stall selling second hand books. 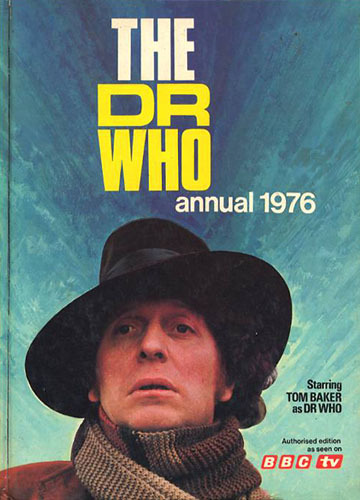 The brothers then moved into publishing, and became well known for the hardback TV tie-in annuals they produced, including twenty years'-worth of Doctor Who Annuals, not to mention such lesser delights as CHiPs and Black Beauty. In 1981 the company was renamed World International Publishing, pumping out further annuals for Dempsey and Makepeace, The A-Team and others before disappearing at the end of the decade. Anyway, next up in this week of Rabes, a review of the second Daniel Port novel, The Out is Death.